OMG Miss Brigit How Super Adorable, Cute, Sweet & Precious is your tag and your Treat Envelope...Love that pretty paper it's so perfect!! You so came up with lots of cool & clever Ideas along with your Pretty embellishments it all came together for one Spectacular look. Yep, an Outstanding Creative job!! 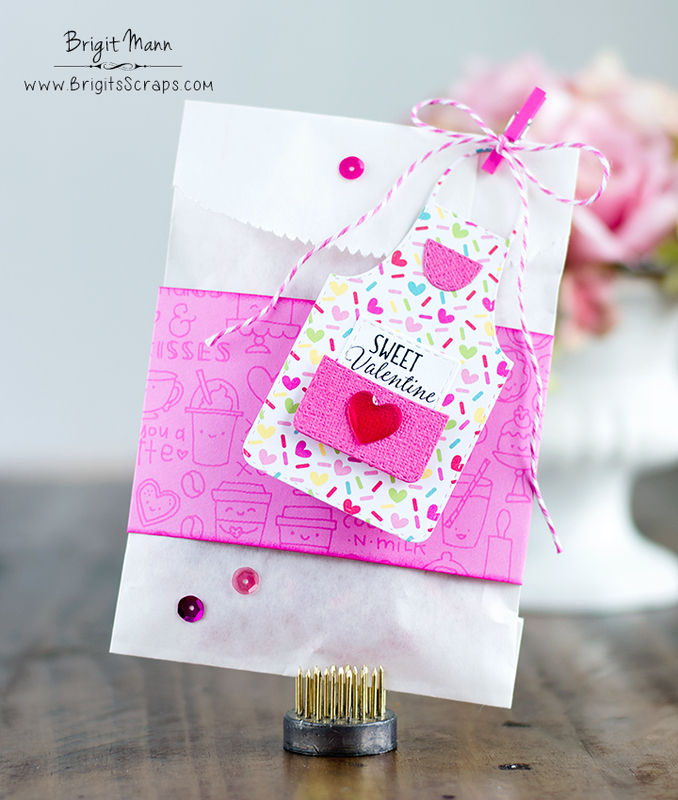 Such an adorable tag, Brigit, and that paper is precious! The paper is adorable and the band adds a log to your gift bag! I love the apron...great idea! This is so cute!